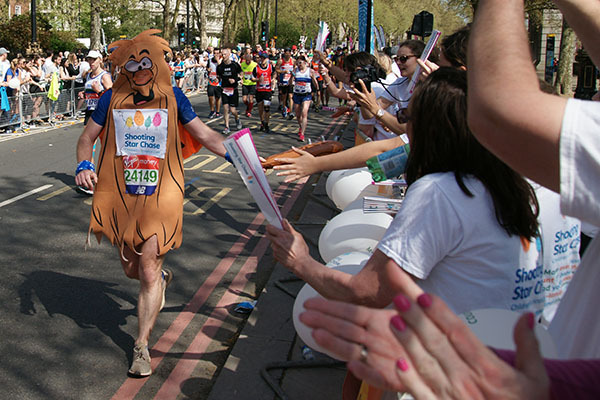 Shooting Star Chase London Marathon team give their heart and sole to raise huge amount! Following the race the runners were treated to a special thank you reception at Central Hall in Westminster, where they were greeted by family, friends and Shooting Star Chase staff and volunteers with huge congratulations, a shower, massage, hot meal and of course a cold refreshing beer! The refreshments at the reception were kindly donated by corporate supporters Fullers, Les Caves de Pyrene and Pelican Procurement and a huge thank you goes to all the amazing volunteers that gave up their time to support Shooting Star Chase marathon team. There was even a Guiness Record Breaker in the team, as Colin Haylock (only a week after completing the Marathon des Sables with brother Keith) took on the London Marathon wearing ski boots! 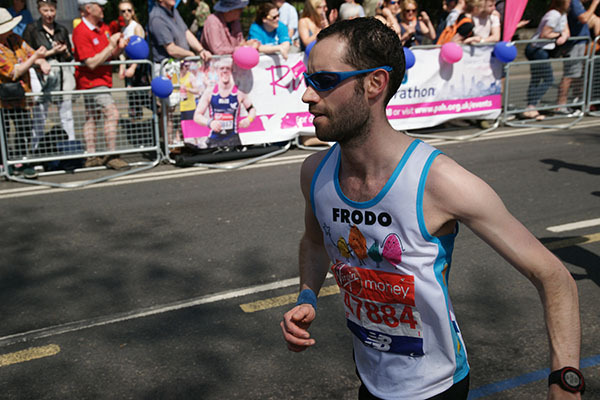 He smashed the record completing the race in 5 hours 52 minutes. Read about their epic challenge here! To see all the photos of #TeamSSC at the Virgin Money Giving London Marathon 2018, visit our Facebook page! 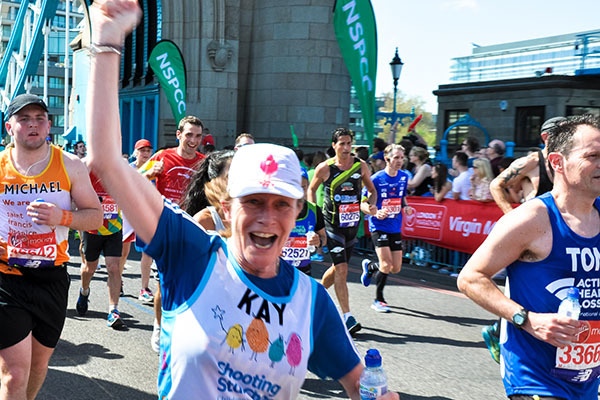 If you’ve been inspired by the Shooting Star Chase London Marathon team and would like to take part in next year’s event to raise money for your local children’s hospice charity, you can enter the ballot or register your interest for a Gold Bond place on our website.